This weekend is going to be Humongous! 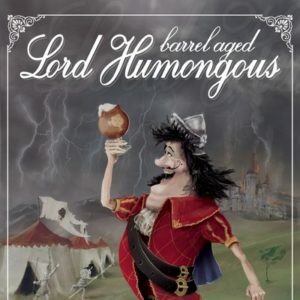 Yes, we will be releasing Barrel Aged Lord Humongous Saturday, Feb 25th, at 12pm. The Lord’s 11 month long barrel conquest has concluded, and this barleywine is now ready to be held high in victory. At 11% this big guy holds notes of caramel chocolate tarts, fresh picked cherries, figs and lightly toasted rye bread with a smooth and satisfying finish. 22oz bottles will be sold in our newly opened Savage Oak Room (suite 112) for $15, qty. limited. You will also get a chance to taste a second infused version of Lord Humongous with cinnamon sticks and vanilla beans. Burger Antics will again be on site serving sliders at noon. This month they are bringing a special pairing menu item of Bourbon Dark Chocolate Sea Salt Truffles! barrel aged, bottle release, Lord Humongous. Bookmark.